The road was not always smooth. The economic downturn of 2008 hit the museum hard. Tourism dropped, attendance declined and outside funding decreased as the government and corporations scaled down spending. Limited resources led to shabby exhibits and reduced programming, and our image suffered. With our future in jeopardy, staff morale sank and donor confidence faltered. Thanks to dedicated board members who wrote personal checks to pay our bills and salaries, our small but mighty museum held on until the economy turned around and we emerged from our dark days. Climbing out of debt, we began to repair relationships, rebuild our reputation in the community and return to our founders’ original vision. These challenges sharpened our focus on those in the community experiencing dark days of their own. Sponsorships, grants and donations allow us to share the power of play with ALL children regardless of economic status or ability through free or discounted admission and program scholarships to at-risk families and schools, educational outreach, after-hours access to family-serving non-profits, and more. Today we are nationally accredited and financially stable and are experiencing record-breaking attendance with waiting lists for many of our programs. Last year we reached almost 220,000 people and our many programs are overwhelming our current facility. A once uncertain future is now a bright but crowded one, which is why we are launching a $2,000,000 capital campaign to build a mezzanine that will allow us to have a larger impact. 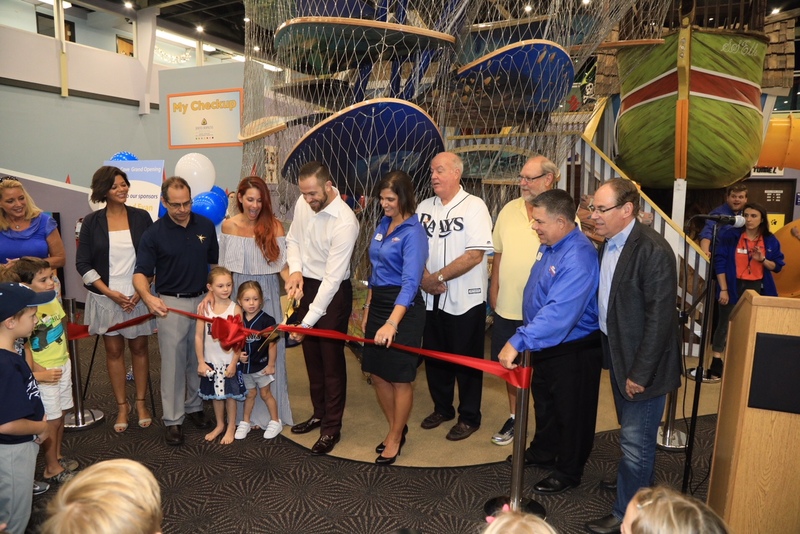 The campaign kicked off this fall with the opening of Longo’s Cove, a unique climbing experience sponsored by Tampa Bay Rays player Evan Longoria and his wife, Jaime. Then, on October 14th, we will host a 30th birthday gala at the Coliseum in St. Petersburg. With exciting entertainment and playful refreshments and décor, Cheers to 30 Years Presented by Duke Energy will be a colorful and creative fundraiser that will inspire our guests to support child’s play in a unique way.